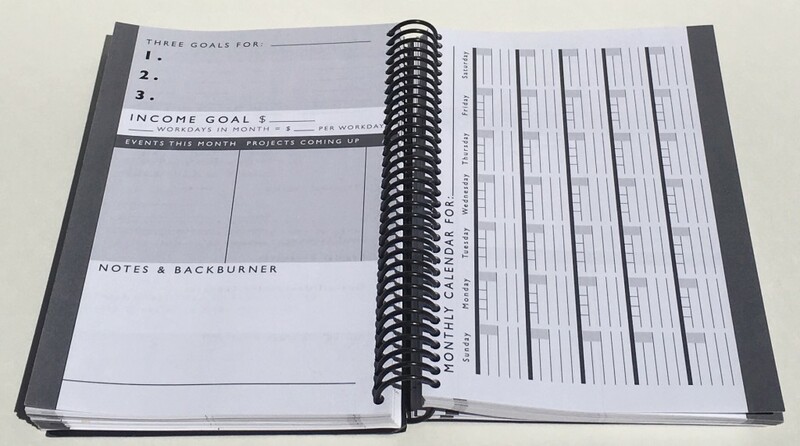 The only planner that gives freelancers one place to track income, goals, client bookings, and tasks. You love freelancing, but you have a problem: it’s a real pain in the patootie to stay organized. Client bookings, priorities for the month, making time for your own business and client work, knowing what events are when…whew. There’s so many digital tools–which are great, don’t get me wrong–but wouldn’t it be nice to have one place where you could quickly take the pulse of your business, without having to look at six different apps and two different browser tabs? 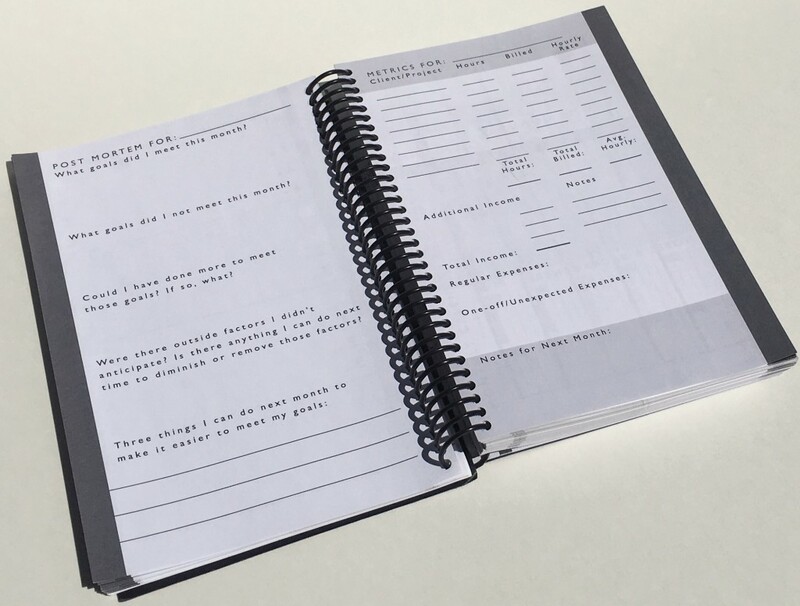 The Freelancer Planner was originally a successful Kickstarter campaign, with 380 backers funding to 157% of our goal. 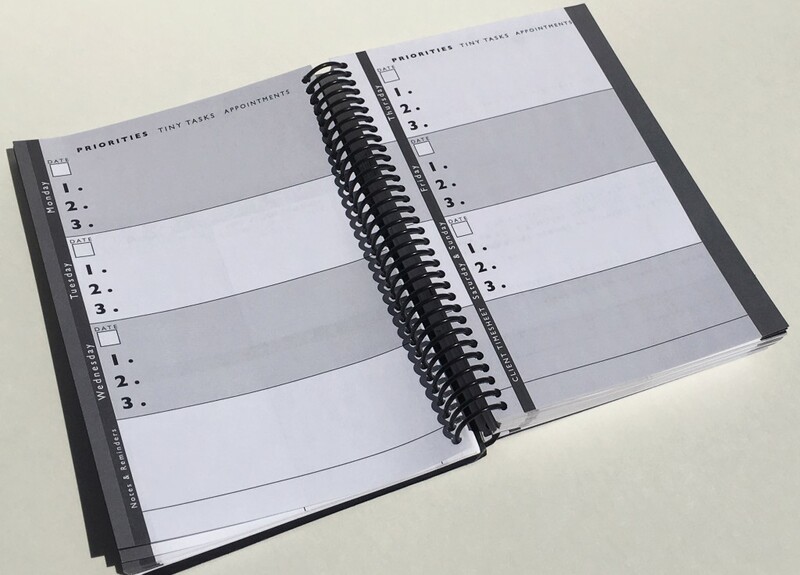 Here’s the video showcasing all the pages of the first version of the planner – using backer feedback, we’ve made improvements to the planner to come up with the pages you see above. Planners ship out within 24-48 hours of order. 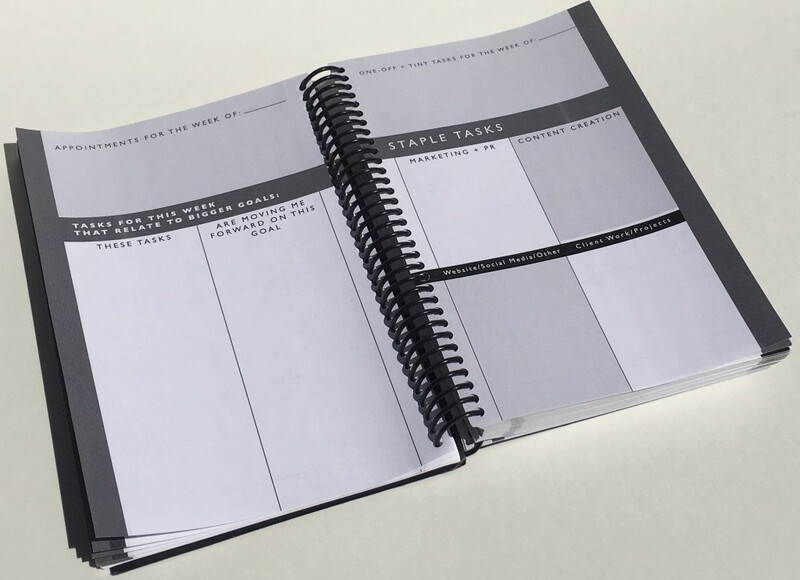 Want to download and print out your planner? You’ll automatically be included in future updates to printable versions. 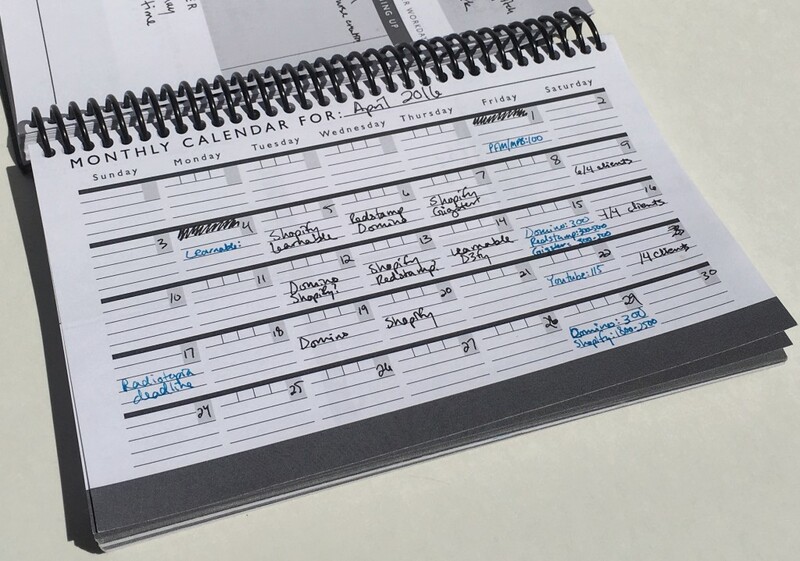 Once you receive or download your planner, head here to learn how to use it. I received my copy of The Freelancer Planner yesterday, and I spent part of NYE figuring out my schedule for the next month, it’s that exciting! Thank you so much for putting this project together. I cannot wait to get started with running a well organized writing business in 201t6. This is exactly what I’ve been looking for to help me put all of my projects, clients, personal writing goals, and financial bits in one structured place. As you can tell I’m super happy with your product. Thanks again, and happy New Year!